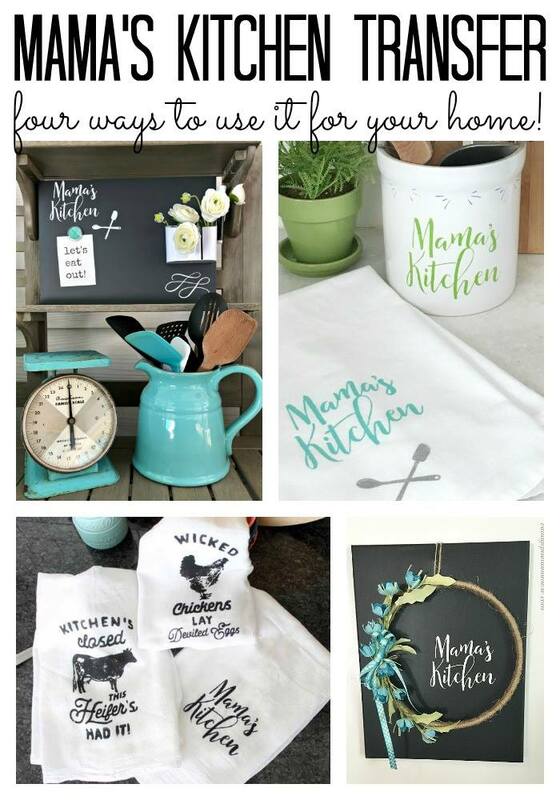 The Chalk Couture Mama’s Kitchen Transfer is so versatile! 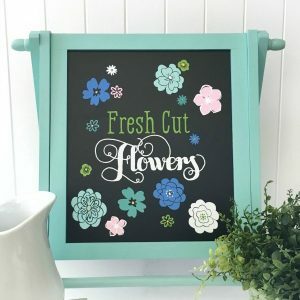 You’ll learn different ways that you can mix and match the transfer to make your own unique projects! 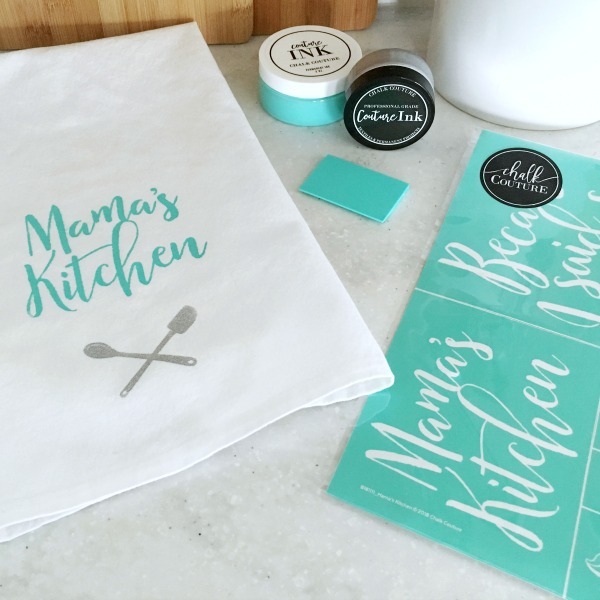 I’m collaborating with other bloggers who love Chalk Couture for this post, and we’re all using the Chalk Couture Mama’s Kitchen Transfer in different ways. 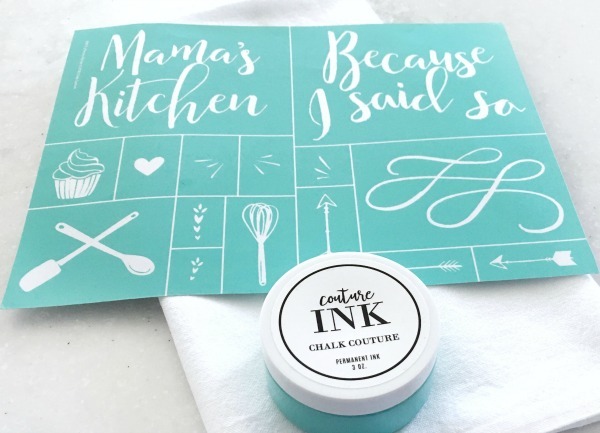 The Chalk Couture Mama’s Kitchen Transfer is so stinking cute! It’s Chalk Couture’s April Club Couture transfer. Chalk Couture designers get a monthly transfer with their membership, but this transfer is available for everyone starting today! It’s so versatile, you can mix and match the pieces to make your own design! I used this transfer to make two different projects for my kitchen. This utensils crock is one of the projects. I used part of the transfer in a different way around the top of the transfer. 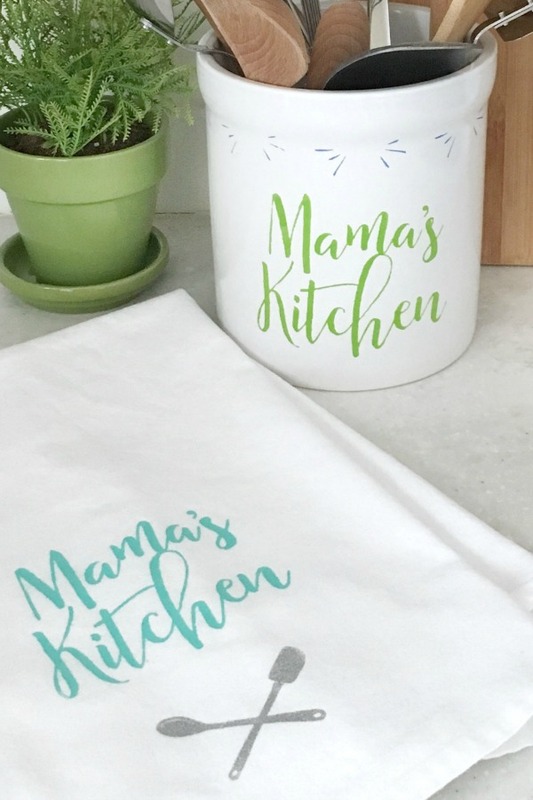 I’ve created a video that shows how I used the Chalk Couture Mama’s Kitchen transfer and their Chalkology paste in the colors Lime Green and Azure to create this project. I love how the quotation marks (I couldn’t come up with anything else to call them!) design around the top of the crock turned out. I didn’t do this, but I could have put the Because I Said So on the back side. Actually, I could still do that! 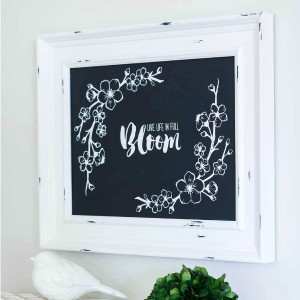 What I love about Chalk Couture’s Chalkology paste is that if I get tired of this design, I can just wash it off and make a whole new design on the crock! I also made a tea towel with this transfer, using the Chalk Couture Mama’s Kitchen Transfer in the colors Teal and Shimmer Silver. I added the spoon and spatula to the bottom of the towel. I’ve created a video showing how I used the ink to create the design on the tea towel. As you can see, there are so many ways to use this transfer! 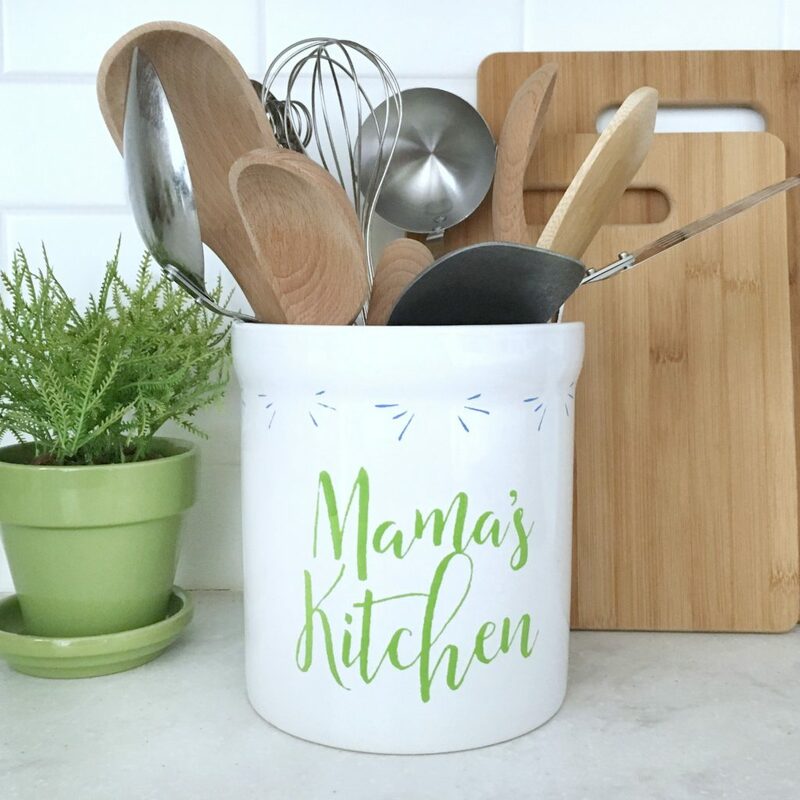 Visit these creative bloggers have used the Mama’s Kitchen transfer to create projects in different ways! Links to all of their posts below! How would you use this transfer for your kitchen? 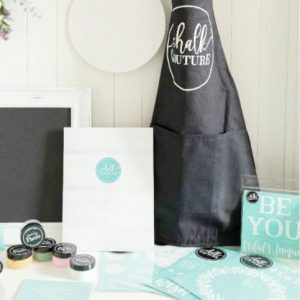 If you would like to find out more information about Chalk Couture click here. « Chip and Joanna – You’ll Be Missed! I love this idea – so cute.